Mezze is the Mediterranean version of a small plates meal. I love meals like this: dim sum, tapas, etc. I adore being able to have smaller portions of a wide variety of foods, especially when it involves any combination of bread, cheese, fruit & veggies. I've actually made a mezze spread before (check it out), but have definitely never made pita, so that was the most exciting part for me! Michele asked us to make pita and hummus from scratch, and then to go nuts with the rest of the meal, giving us complete creative freedom. Thanks, Michele! 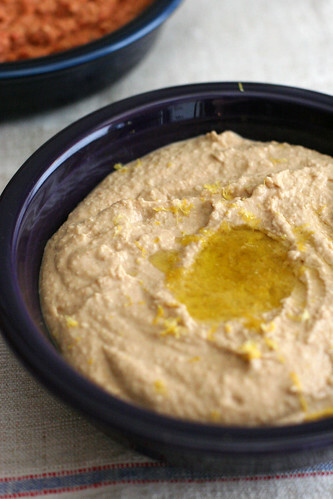 For the pita and hummus recipes, and to see what my fellow Daring Cooks came up with this month, head over to the Daring Kitchen. Because this challenge had so many unique elements to it, I have a series of posts planned this week with more detailed photos and recipes. Stay tuned! Absolutely great job on your challenge and every single dish looks so delicious. Should have made that muhammara. It looks so good. Well, everything you made looks good but that one is already GF =D. Oh my goodness... I'm looking forward to all of your upcoming posts. 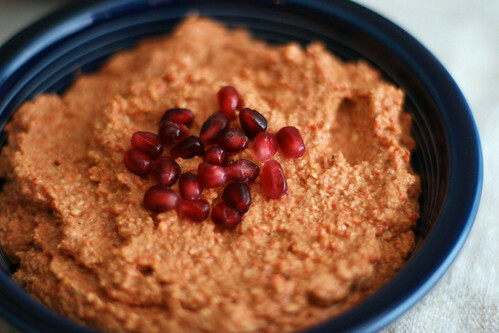 The muhammara looks so tasty! 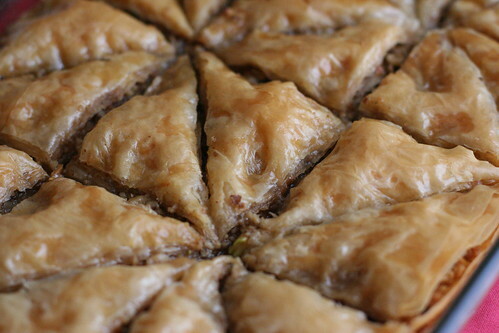 And I can't believe you made baklava. I need to get brave one of these days and make it! Muhammara yumm yumm it so tasty and your platter spread looks wonderful. Your hummus is sxtra special love that oil on top. Your pita is spot-on well done on this challenge. Cheers from Audax in Sydney Australia. Thank you so much for participating in the challenge this month. Your food is truly beautiful! I am now addicted to muhammara, though mine didn't come out as pretty as yours. 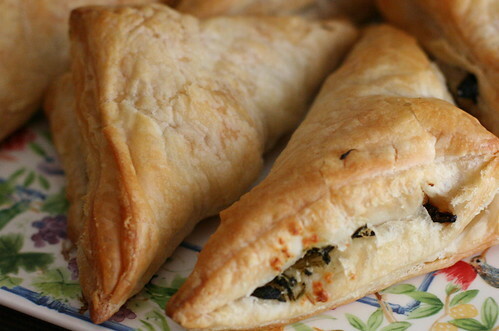 Your pita and hummus look great and I'm just amazed that you made baklava. Wow! The muhammara seems to be the star of this challenge! So good and so easy - the best possible combination. wow these photos are amazing. 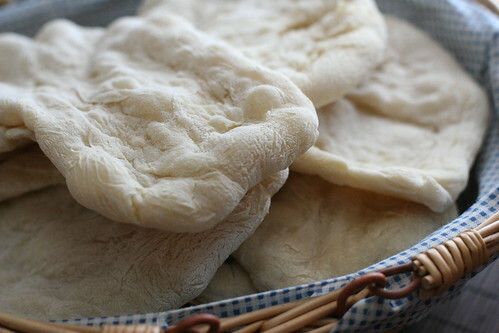 the pitas look so pretty! yum yum yum! !